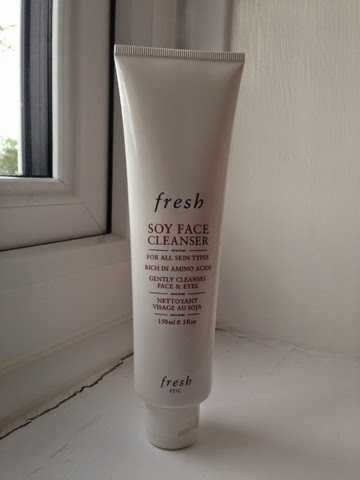 It was a long time ago since I first heard about this cleanser from makeupbyalli. Ever since then I've wanted to try it but was never near a fresh counter to pick it up. I was really grateful and excited when I got this from my dad for Christmas. I've been using this for a couple of weeks now and before that I was using the melting gel cleanser from no7. I am really enjoying it as it is really gentle (you can use it around your eyes to remove makeup) but not to the point where you don't feel like it's done nothing. It's expensive but I would say it is worth the price. It really soothes my skin and wash off any excess oil at the same time. Although I found the scent very pungent when I first started using it.